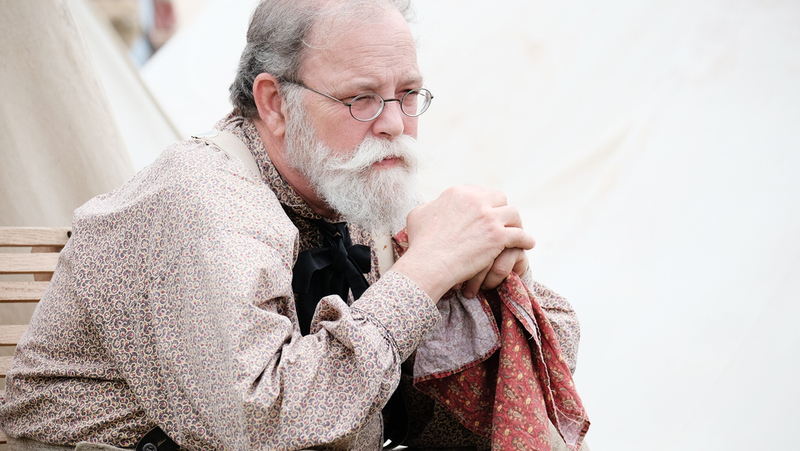 This past weekend I got to attend "Guns of 1863" a Civil War reenactment event at Camp Mabry in Austin. Anyone who follows my work knows that I'm fond of photographing the WWII events at this National Guard base. This was my first time attending a Civil War event. As always, the focus was on presenting an accurate living history lesson. Attendees were educated on the uniforms, flags, weapons, and musical instruments used on the battlefields of this dark time in American history. I learned a number of things about the Civil War myself. The facts and statistics about the loss of life was staggering. What a horrific period. 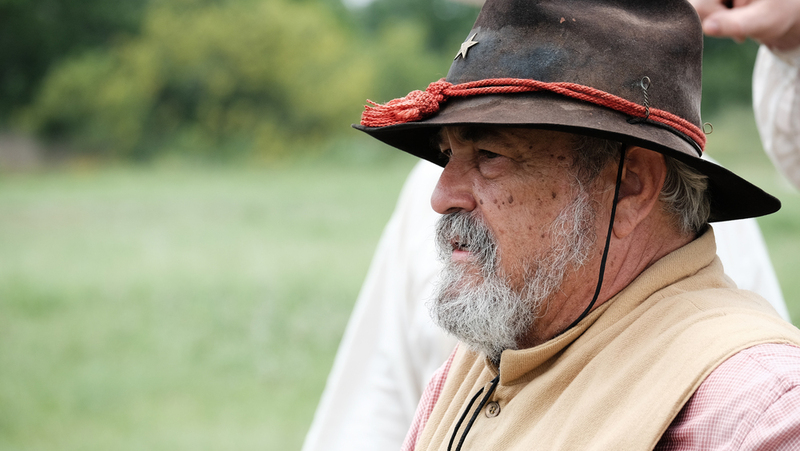 These events are held by the Texas Military Forces Museum's Living History Detachment not to glorify war but to educate and remind us of its cost and consequences. 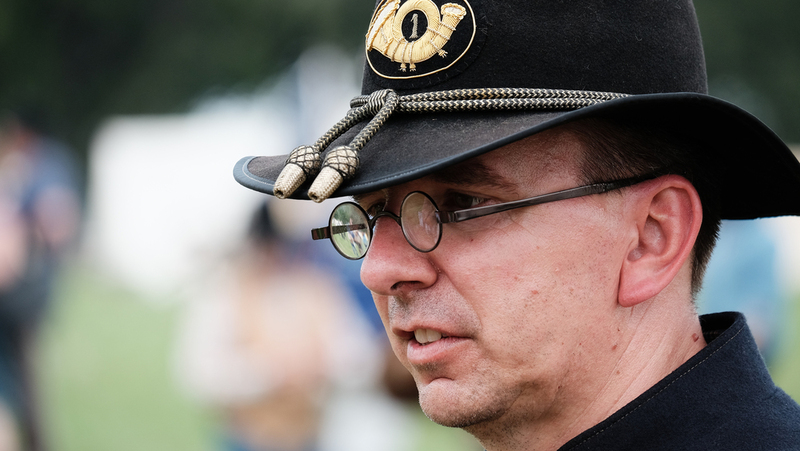 While many people come to see a battle reenactment, my favorite part these events is always wandering amongst the reenactors and looking for those moments that they are immersed in their characters. These people take their roles as living historians seriously and at great personal sacrifices of time and expense. As my way of saying thanks for what they do, here are some of the "war faces" of the Civil War as seen in 2015 at Camp Mabry. My full gallery of images from the event can be viewed here. Images were captured with a Fujifilm X-T1 and XF 55-200mm lens, Classic Chrome simulation.